Kheer, a very common dessert of Indian cuisine. The base of this is milk and most of the times it is made using rice. But there are many variations to it, like Makhana (Lotus seeds) kheer, made by my mother, I simply love it, yummy and healthy (minus the sweet part :P). 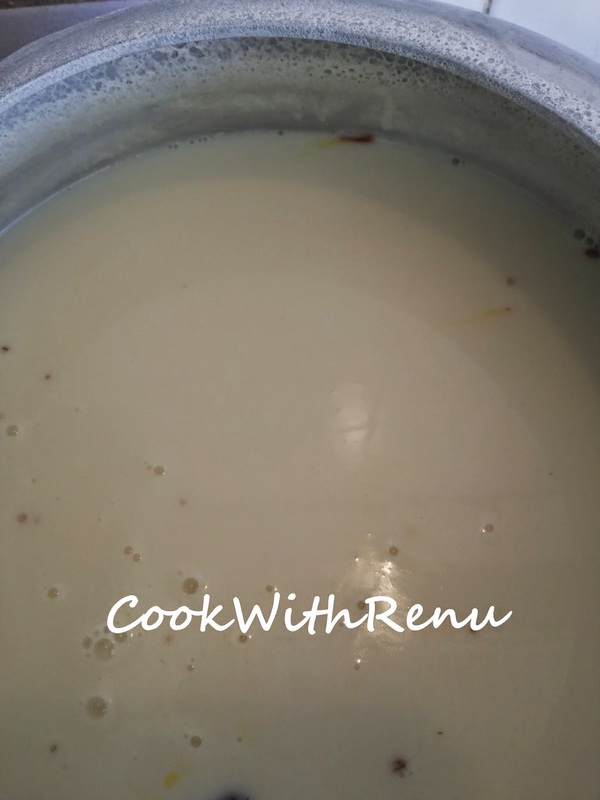 Then there is kheer made using Sabudana (Tapioca), Sevai (vermicelli) and many more. It is flavoured with cardamom, saffron, almonds, pistachios, chirongi (charoli), etc. 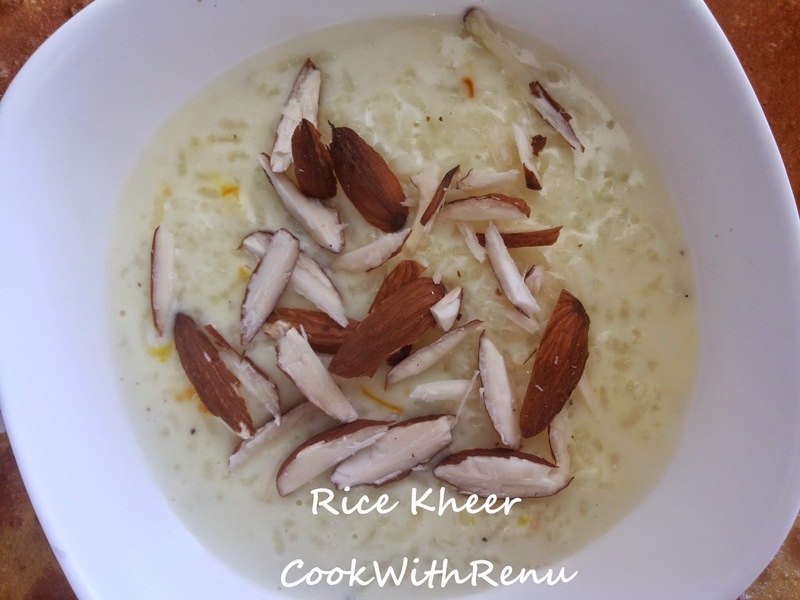 I like thick kheer, so I used 1 cup rice, for those who require a little on the thinner side can reduce the rice quantity. Sugar quantity can be more. I do not like it to be too sweet. If more is required can add more. I use long (akha) basmati rice, and I simply crush some of the rice when it gets cooked. One can use the smaller (tukda or ponia) basmati rice too. Wash and soak the rice for 10-15 mins or until the milk has come to a boil. Now add the rice and let it cook in the milk on slow flame. This will take time, around 20-30 minutes. Keep stirring in between. 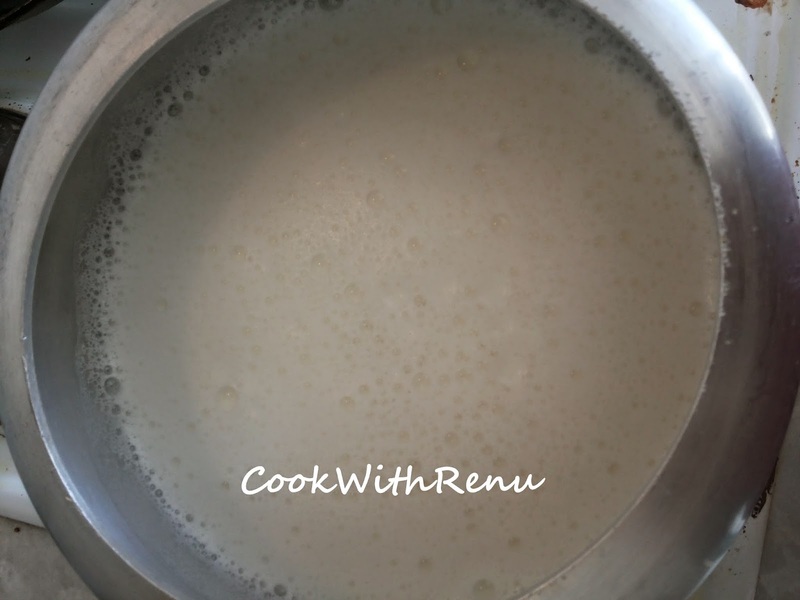 You will notice that the milk has reduced and the kheer is of nice thick consistency. Add the sugar, Saffron, Cardamom powder. Let the sugar dissolve completely and then switch off the gas. Yummy kheer is ready. Serve it as it is or with Puri’s, hot or cold, garnished with nuts.